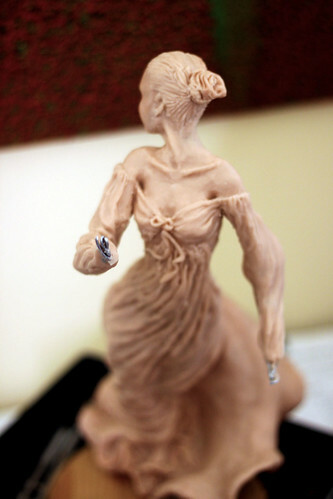 While I was in my sewing room feeling creative, hubby was in his studio watching a movie and sculpting this. I gave him the clay as a gift a while back. He had the idea to take one of his paintings into the third dimension. This is just a sneak peak. I’ll post the other side another day. This entry was posted on Thursday, August 27th, 2009 at 3:00 am and is filed under Craft. Tagged: Craft. You can feed this entry. You can leave a response, or trackback from your own site.